It may be November but Christmas spirit is in the air. The Orchard Road Christmas light up , the Christmas trees popping up in malls, the start of the search for the Christmas presents are all little reminders that Christmas is near . 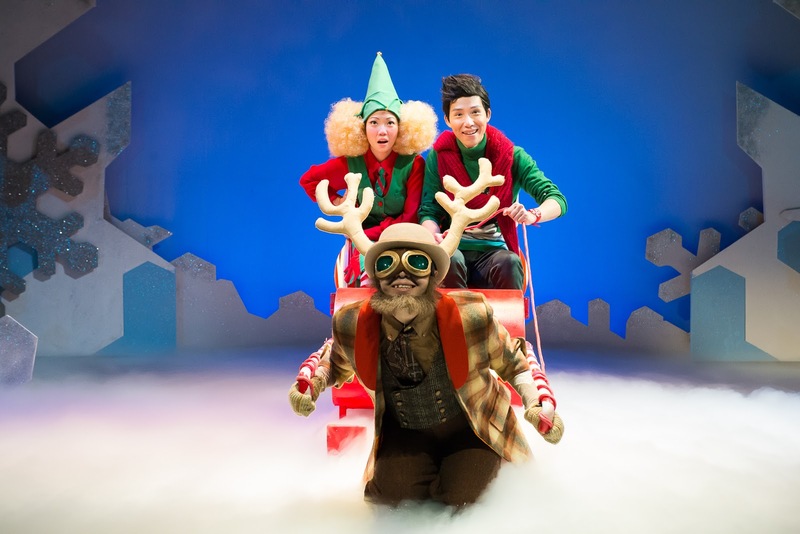 To soak up the atmosphere, we began November with a musical from The Little Company, Junior Claus. After being wow by The Cat in The Hat and The Nightingale, we had high expectations with Junior Claus. Would this festive production light up our Christmas spirit? 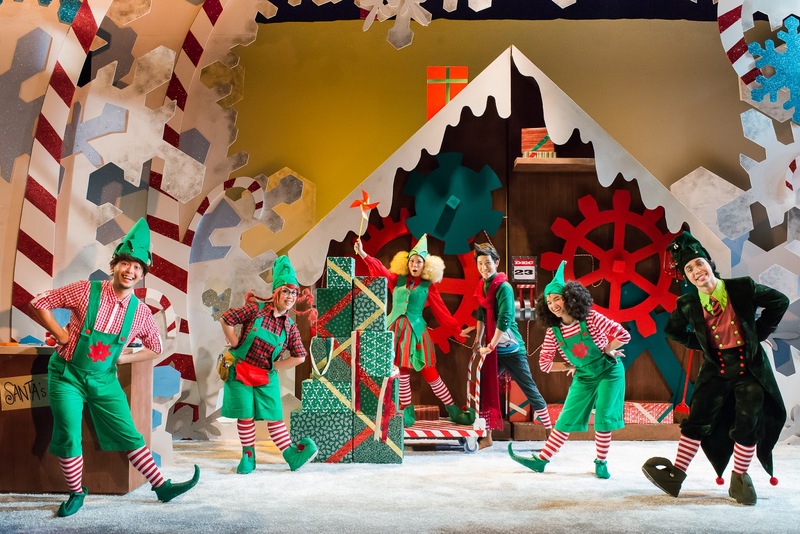 A wonderful tale revolving around the heart of Christmas, Santa's Workshop in Christmas town. It tells the story of believing in the magic of Christmas. With dialogue and lyrics by Christopher Dimond and music by Michael Kooman, Junior Claus will bring Christmas magic back to life! The star of the show, the rebellious Junior Claus (Dwayne Tan) loses his belief in Christmas 2 days before Christmas Day and ran away from home. This sets a chain reaction as the Belief-o-Meter drops to critical level that resulted in Santa (Benjamin Chow) falling into a deep sleep. This sets the stage for the greedy elf Grumpo (Timonthy Wan ) to take over the workshop. Grumpo's aim is to cancel Christmas and ruin the season forever. Wit the aid of Junior Claus friends , Pengy ( Cheryl Tan) the penguin,Chipper (Seong Hui Xuan) the elf and Mrs Clause ( Candice de Rozario) , Will Junior Claus return in time to save the Christmas Day ? Against a colourful backdrop of Santa's workshop, together with the chilling North Pole. 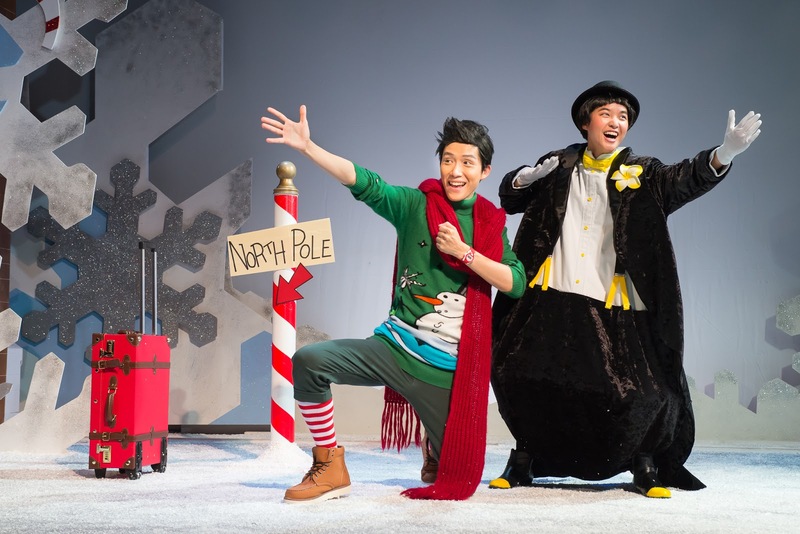 Junior Claus travels all the way to Singapore with Dasher (Benjamin Chow) and his trusted friend , Clipper to find someone to believe and raise the Belief-o-meter to wake Santa and save Christmas! The Little Company did a wonderful job in bringing the spirit of Christmas on stage. 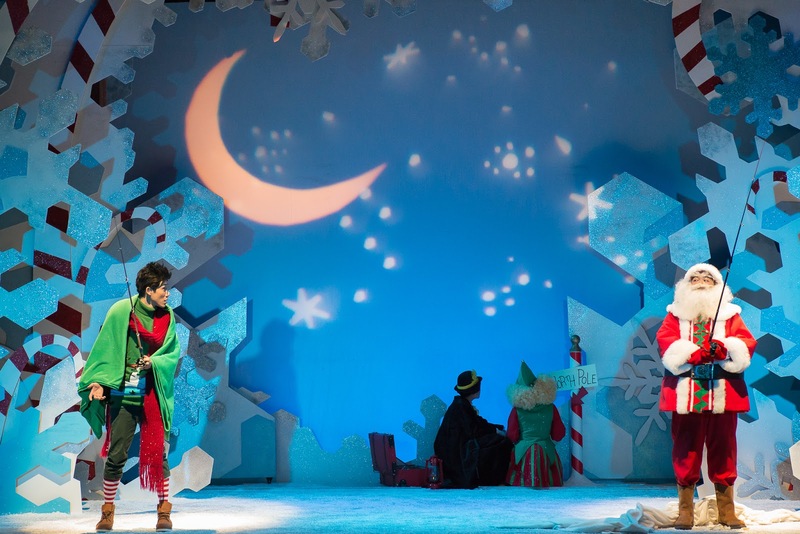 Armed with delightful tunes and a story with a surprise local element, this production is a must watch for families wishing to be immerse in the Christmas Spirit. It is recommended for children above 5 but Little Lou,who is 4,stay fixated and memorized during the show. Even the skeptical Big C, who recently declared that Santa is not real, loved the show. 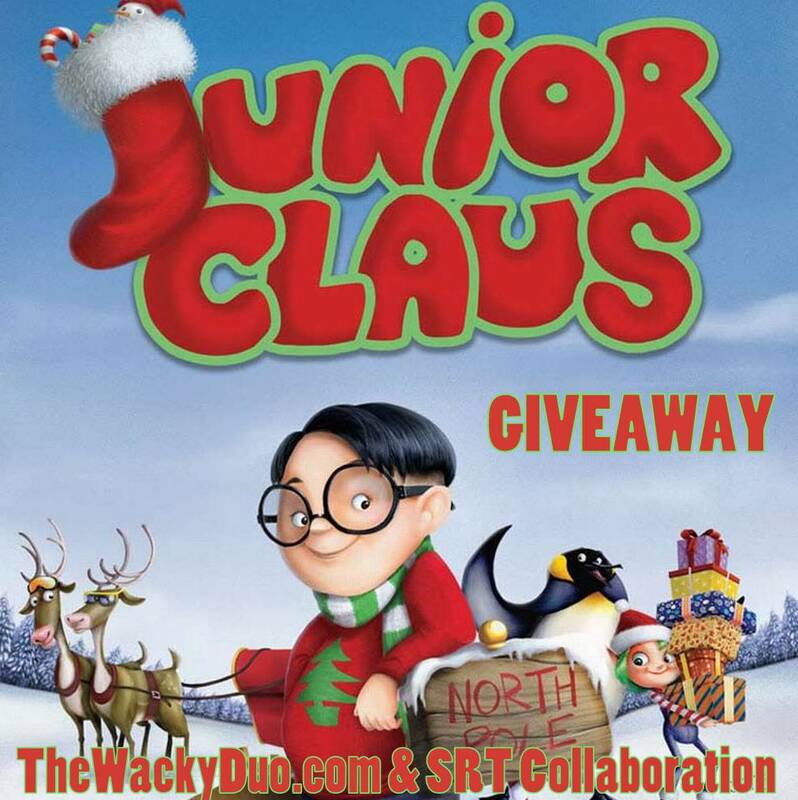 Especially noteworthy are the chemistry between Junior Claus and Chipper. Together they sizzle on stage and hints of a future Santa and Mrs Claus in the making. Grumpy who we last met as The Lord Protector in the Nightingale puts in a stellar performance as the resident bad elf. Once again The Little Company exceeds our expectations. It's official, we are now bona-fide fans of TLC. It's world class musicals for kids are hidden gems waiting to be discovered !